UPDATE from Cory: While this post is a few years old, and Facebook’s algorithms have changed, the principles outlined are still relevant. The idea of creating a conversation, engaging with your collectors, and using solid marketing techniques all still apply. If you are concerned about getting buried by FB’s algorithms, the only surefire way around it is to learn to use FB’s ad platform. Ultimately, it’s now a pay to play system and you have to play by their rules if you want to see consistent, scalable success. We have a course on FB marketing that is updated twice per year to keep up with the latest trends. For the last 8 years, I’ve offered my work online through various venues, with the support of my own website and organic marketing (social media, word of mouth, etc.). But it was in 2010, that I recognized a potentially sustainable source of income in one particular social network. I have made over $50,000 selling my art on Facebook, and I will show you how you can too. Since they’ve gone public, along with it’s growing integration into every website and social network in the world, it’s becoming a force we cannot ignore. Everyone’s mom, grandfather, cousin, dog is on Facebook. It’s becoming a rich resource for finding current and new audiences. Everyone is on getting on board. A year after I created my own page, I began to actively post and correspond with fans. People loved to share pictures of their favorite art or ask me questions about my work. I wasn’t really into it too much, and didn’t see the potential of the site so I rarely logged on or answered questions. I had no idea how effective or useful it would be. Within a year, I had stopped selling work on sites like eBay or Etsy and took time off to work on other endeavors. When I wanted to sell an artwork or offer prints, I’d just post them on there to see if anyone was interested. To my surprise, they WERE. By 2010 (a year in), My fanbase grew from 300 to 1000 as old followers and new found me on Facebook. I began to share the link to my page on Twitter (where I had 4000-9000 followers) and on my blog, which I’d been writing since 2006. I realized the potential and began to experiment on what worked and didn’t work for me and my personal following. By 2011, I was selling art on Facebook exclusively, making over $50,000 in sales from my original paintings and fine art prints. So, HOW exactly did I make this work in 2-3 years? Here are some practices/methods I’ve used that helped not only build my fanbase, but increase engagement, develop interest and increase sales. The first thing to understand is, it’s most important to develop a reputation with your collectors/fanbase before you can really start selling your art. It’s important to engage with your collectors and build relationships. This is particularly wonderful for us as artists, because you really don’t have this opportunity in a gallery setting unless you have the time to be out and about all the time! – Post a photo of work you are developing (Progress pictures). – Post an artwork from your past, childhood, present. Show where you’ve come from, what you’re working on (series) or an artwork you want to offer. – Ask a question: ask them questions about themselves, ask about your work, ask about current topics. Use topics that relate to your work or your personal audience. Everyone is different. – Start a topic: talk about your process, what you’re working on, what you did today, etc. People respond most to things that are visual or involve THEM. People love to talk about themselves, and they’ll be interested in sharing their own stories, thoughts, interests! Get them going! 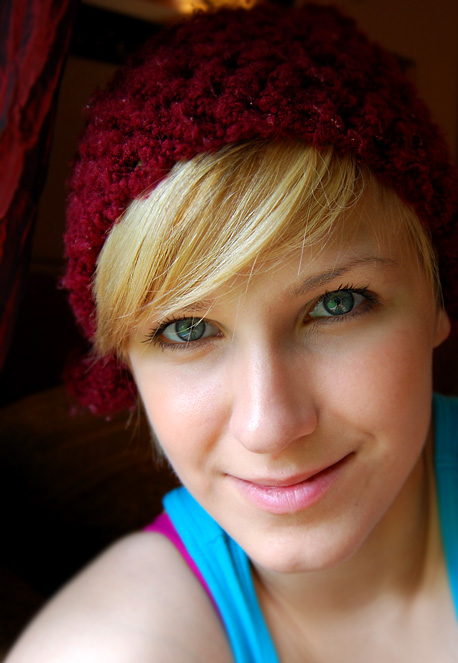 – Create contests: photo contests, commenting contests, liking contests. You want to create things that inspire them to share or participate in. With the new Timeline, other people are going to see their friends’ likes, shares and comments. Offer an incentive: Winner gets print of the month (or choice), someone gets discount in your shop, one of 10 commenters will get a free print, etc. – Encourage fans to share pictures of their collections, favorite artwork or their dog. Whatever it is, that could be related to your artwork, your brand or your web presence. – Research your audience: Use Facebook Insights to understand the type of people that are “liking” and engaging on your page, and from there you can learn and develop your audience. – Study how to use insights so that you can better read the data that is offered to you. Find other tools that might help you engage with your audience. – Decide what time of day, how many times a day, how many times per week you will post. And what ‘type’ of content you will post. – Create a day/time for what content is shared: New art on Fridays? Studio Sales on Sundays? Illustration of the day Tuesdays? Fanchat Thursdays? – Create sales goals and develop a system that will help you reach those goals. – Determine what you are willing to sell your artwork for. Will you offer prints? Will you offer just small artwork or everything you create? I never allow an original artwork to sell for less than $200, but this is all dependent on your fanbase, how many follow you on Facebook, what you offer, how long you’ve been an artist and who your audience is. 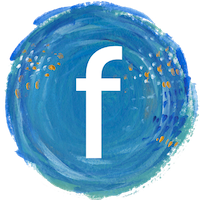 – Do you want to offer your art directly on Facebook or promote your other sites where the art is available? 6. It’s important to create an urgency and rarity for your work on a social network because everything is posted in real time, exposure on Facebook is short term and not every follower will see your posts. – With original art, I’d give them a chance to make their price: I say: Make an offer & it’s yours! which creates an open opportunity for them to name what they’d pay. Allow yourself as much time as you want to see how many offers you get. The longer, the better, but if you feel it necessary to keep short, do so. I only offer originals for up to 24 hours for bids. After that, if there is nothing, I delete and move on. I might offer the original later a different day and time because some days are either bad timing or most people aren’t really on their Facebook. – Use sayings like “The first (number) of people to comment-” or “The first one to say “SOLD!” can purchase-” to create the urgency to reply. I’ve found that if I simply post payment information for artworks or link to an artwork, there is less of a chance at making a sale. – Create rarity with limited times or limited offers: Certain prints or specials will be available from this day to that day, or for 24 hours, or until the Friday of that week. Something of that nature, where the special will not be available anywhere else and is not done on a REGULAR basis. It’s completely genuine and legitimate as a form of selling art. Disney does this with their classics and it has worked well for them. Creating urgency not only helps keep your fans’ attention but help increase engagement which in turn will help increase the exposure of that particular post across other timelines. More likes, comments or shares equals more exposure for that post. – I’ve found that with even the smallest investment in advertising, you can increase your fan base as well as potential sales through the use of Facebook ads. Really study your Facebook Insights and determine the best plan for advertising. Sometimes I only advertise with my spending limit at $30-50. at a time. Facebook offers a wonderful system that makes it simple even for the novice. Play around with the advertising system a few times and you will get the hang of it. From there, decide how much you’re willing to spend each month, every few months or year. Perhaps you only advertise for a week or few weeks around a special event or artwork you are working on. 8. Promoting posts really works! – You are able to promote a particular post (perhaps you are offering a limited print or original artwork for sale) for anywhere from $5.00 to $30.00 to reach a certain amount of your audience. That particular promotion will last anywhere up to 3 days. Promoting pages increases the chances of that post to be seen by your fans for a longer period of time. This is great because, in reality, not everyone will see that post. People log on at different times, for different lengths. Not everyone goes directly to the page to read what’s happening. I have fans who follow me regularly but might miss one post or they happened to be on vacation that week or don’t see that artwork I offered three times that month. – And if, at any time you wish to cancel or pause a promotion, you CAN. Sometimes I’ll reach a certain amount of sales that I wanted and pause the promotion. You might only spend 30 cents or $1.40 when you promote a post. – I post regularly – almost every day. – I offer art weekly, through Studio Sales, special limited edition offers and print sales. – I promote my Etsy shop, eBay auctions and other sites through Facebook. – I revisit old events, old artworks and past experiences for content. – I syndicate my blog and social networks to the page to increase content, social engagement and product awareness. For tips on creating a sense of urgency, check out this post on limited-edition print runs. For help with how to price your art, check out this post on how to price original art and this post on how to price art prints. UPDATE from Cory: This post was so popular that we put together a course on How to Sell Art on Facebook. Click here to check it out! These are good tips, no doubt. But I note that when you started, you already had 300 fans. It is possible that your success on Facebook is simply “success,” and the “on Facebook” part of it is not so important. What I mean is, you may be underestimating the role your own talent has played in your success. Facebook was a powerful vehicle to you, but I would venture to guess that any artist capable of earning $50,000 by selling her art is capable of doing it in venues other than Facebook. Long story short, I feel your talent is the crucial factor here. Congratulations on your success, and best wishes for the future. She already admitted that in her article !!!!!!!!! And also advised anyone else to do the same….to build up a group of people, followers, that get to know you. Re-read the article. Excellent point RP. For an artist, having a recognized name is almost everything. One of the most important aspects of Natasha’s article is the importance of a marketing plan and structure. Many visual artists, like myself have a tendency toward introversion which can make live social engagement in the flesh very challenging; one advantage to social media engagement is that it allows shy or socially awkward people to have some comfort space between themselves and other people while remaining in active relationship with “strangers”. I have given up already. I get likes there is no doubt if it’s paid but no sales on facebook. I have put a few “promotions” up on my Facebook, and lots of likes, but no sales yet through these types of tactics, should I just keep it up ? Do I look foolish when no one responds? I feel foolish! I have visions of a bustling art studio for teaching small groups of kids along with selling my own artwork out of my basement. Keeping the faith is scary and feeling foolish is holding me back – I can feel it. I like that the ideas here are practical and not expensive. I want to proceed slowly, surely, methodically…to help prove it to myself so that foolish feeling goes away! Think about if you used also pinterest, tumblr, twitter and instagram. You could really widen your audience here. Look at blackmilkclothing.com/about another real success story using social media. @ericmilic that’s something I hope to talk more about – yes indeed! Those are all worth getting into! 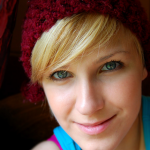 @natashawescoat add me on twitter/linked in if you want to chat more about it. You might also find this quite interesting as well: http://mashable.com/2012/07/31/enterpreneur-8000-one-day-facebook-ads/ Probably one of my favorite recent stories, talk about ROI. I have met wonderful people on Facebook who share my love of animals and animal art. Now that FB has the “Timeline” feature do you recommend optioning in for it or not using it? I did start it, not sure if I should have or not. And I do have a big exciting pet art for rescue funding project to tell people about soon. I am looking forward to seeing your continued info sharing! Thank you. As a side note, before ebay changed so much for artists, I did quite well in original art sales there, but it involved so much less ‘personal attention’ than a social networking site. So I know the potential is excellent for what you are illustrating with your advice and sure do need help learning how to socialize online without it taking up all my painting time! I have started with Pinterest also. @Lee Mitchelson Fine Art Thanks Lee! Yes, eBay was a little more automatic, but it still was helpful to be involved in message boards, forums and groups to really help boost the listings. Pinterest is a great place especially for artists. We need to take charge of our content on there. People love sharing. Also – Timeline feature that I was referring to has now been integrated into the new facebook design that has launched for everyone. I’m sure it’s that way now, or maybe you have to go update your profile I think? Not sure if people are still using their old ones. It’s just a matter of updating to new look. 🙂 Hope that makes sense! @natashawescoat Facebook has indicated that everyone will be on Timeline by the end of October. I’m also a wildlife artist. I went to your web site and like your work. Can you tell me who designed your web site? This marketing thing is a whole other ball game. I’m learning a lot by everyone’s comments. Thanks for sharing. I am an artist and also a graphic/web designer and if you are still looking for a designer for your website then I’d love to work together. This is an awesome interview filled with lots of info! Thank you so much for sharing and wishing you even more success in the future! @DoloresJablonski thank you! I hope it’s been helpful. I’m sure there are many other things to note that have worked for others. This is just mine. What a great and helpful article! All I have to do is create contests/give aways and I’m on the right track! Thank you. @natashawescoat heehee, I meant I’ve also gone through all of the steps you mentioned except for the contests and giveaways, that’s the only thing on the list that I haven’t tried yet. :)I wish you more success!! It’s wonderful to hear success stories of fellow artists! Congratulations and thanks for sharing the details of how you accomplished this on FB. It’s great to hear of success stories such as yours, and even better that you’ve accomplished this on your own, through exploring what works and doesn’t, and taking action to “make it happen”. Looking forward to trying out some of these great tips. Thanks! @lorimcneeartist The Irony. Only 50? It’s your life. (I cornered at $238,000). #Art Nothing online. @artsyshark @agoodhusband I am going to try a few of these tips, today. Thanks for sharing this article! @shedoesartwow let me know how it goes! All this is a lot of work, but anything to be successful will be. Don’t forget the age old method of going to art shows (I call them street shows) and selling prints and originals and talking with lots and lots of people and handing out lots and lots of business cards to everyone you talk to from the waitress to the person standing next to you on the top of Pikes Peak. Thank you for all the wonderful information. I am just getting started on this journey and I really appreciate you sharing what you know. Here is my question, say you’re an introvert (admittedly) and don’t have many facebook friends to advertise to… how do you gain those? I realize facebook ads are probably a GREAT way to do this, but are there ways a person can go about building a fanbase? Great Article. Wishing you continued success! My questions is this: After doing all the work you’ve outlined in your article, how do you find time to paint? Thank you so much for sharing this information! I found it interesting and helpful! Wow, and thanks! I was blown away by this article! After thinking that it was not possible to sell my artwork online, I am inspired by reading this and can’t wait to get started! Fantastic tips and ideas! I have done a few of those before I even read this article. They really do work! I haven’t sold much of anything from Facebook but my fan base has grown from 30 to nearly 100 in a few months. More likes everyday means more potential clients, fans, and promoters. It’s a great way to connect! I have met some amazing talent from Facebook too, I talk to them on a regular basis. This is amazing advice. I’m just starting to try to get a good series together, and these tips are great. Thank you so much! Those are some great ideas which I will definitely try with my fans on my Facebook fan page. Thanks for writing this article. I was pleased to see that I do most of the things you suggest but I haven’t done much with facebook advertising or post promotion. I really like the ‘regular’ program of page activity and certain offers on certain days. I’m going to do that and see what happens. I run a blog and Facebook for my greeting cards and illustrations. I don’t try and sell from these sites (as I have a website) but I really want to increase my audiences! Very good idea for selling paintings.Iam really looking for such ideas to sell my works.Thanks for your idea and motivation. This great. Usually all the artist do maintain Facebook fan page and now i believe it can best be used for generating revenue instead of paying upto 50% commission to art galleries. Let save art. Through Facebook and similar platforms the artist can get the better value and collector can get better thing by paying less. I have a question for you – HOW exactly do people pay you? That’s one thing I’m struggling on. If you sell on places like Etsy, they of course take care of that. But what about selling on Facebook? Do you have them mail you a check, or do they go to another site and fill out Paypal information? Thanks! And thanks for this exceptional and extremely helpful article! Madi – if you’re doing contests the way that Natasha talks about, you can ask for Paypal payments or have them send a check. As always, be sure the payment clears before shipping. I really like what I have read in this article . It has given me something’s to think about. How I need to focus my attention on making a website for me, and my metal scupltures. Fans?!? how do you get “fans”? i have been posting pix on FB 2 or 3 times a week for a almost a year and other than a collection of “likes” and pretty comments that’s it…I have not found it helpful at all. maybe i have dead cheap “friends”…? thanks for sharring i dont have a site.. im totally new at this some say dont use a free site its not its crank up to be i ran across your page wondering how to get this thing started . Thanks so much for the information, Natasha. I’m an emerging artist, but I’m a senior as well and this is all a little daunting, but I hope to follow up on some of your advice. It’s generous of you to share. Thanks to you Facebook just punished me for trying to contact other people about my art through Facebook like you suggested. I got a nasty letter from Facebook saying that Facebook is just for people you know personally. Now I have been banned from using Facebook or anything related to it for 14 days and they threatened to kick me out of Facebook if I tried to contact anyone else I don’t already know. Hi Glenn – I sent you an email, but I wanted to make sure you saw this. Were you trying to sell your art through your personal account? FB’s terms explicitly state that you can only conduct business on a business page. Very good article, You must be having a great heart to give away these tips! thanks to this you are an interesting person, i follow! So many great suggestions that I need to start following as I start to explore the wonderful world of Facebook. This has been very helpful and motivating for me to get my art out there. I do have a question that you did not cover though. How do you go about the exchange of money for your art? I’m not very business savvy. I am totally, nearly totally unsavy about how you even get people out there to see your work. Do I have to change my settings on FaceBook; at this point I have 2 followers from two different continents; I have no idea how they even found me. People have said I could make a ton, but somehow I have to find the people. How do I do even that step? Any help would be so greatly appreciated! Thanks! I just wanted to say that this post is awesome! It’s so true that Facebook can be amazing for selling art due to that community connection that you get. I think that in the past artists have been seen as quite anonymous and mysterious, but social media has opened that up and really allowed artists to show their personalities, which is great because art relies on both a visual and emotional connection. It’s also a nice way to get around the problem of going through a gallery to get your work out there. I’m just starting to get back into painting and drawing myself, so haven’t made the leap to selling it yet, but when and if the time comes I will definitely be using social media to connect with people. I also work for a company – http://www.selz.com – which lets you take credit card payments on Facebook (and other platforms) really easily. I promise I’m not trying to get spammy here, but I think that anyone considering selling on social media should give it or something similar a try, it really takes the headache out of organizing payments with the buyer. Anyway, back to art, I have found a bunch of artists that I would never have known about if it weren’t for Twitter, Facebook and Instagram, particularly younger artists, and illustrators. And many of them don’t even have a website, they operate complete off their social networks. So if you’re not on there, you should be! Even if you don’t want to use it as a sales tool, you never know who’s out there waiting to like and share and #OMG your work. 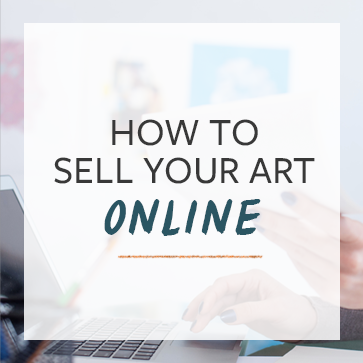 I have read this post TWICE and recently signed up for the How to Sell Art on Facebook course mentioned above. To be honest I haven’t set up my biz page but it is going to happen soon. One question I have is what the market is like for selling art on FB. I have pieces that I am selling right now in the $500-$1000 range and hopefully my prices will be going up since I am at the beginning of my art adventures. Is FB a good venue to sell art in this range and higher??? Thanks for all the great articles on this blog! Excellent advise .thanks Natasha . I totally loved this article!, it really opened my eyes, I’ve been trying to make my page work with no much success. I guess, with this great tips you gave us I will be able to improve it and is going to change something in my life as an artist on Facebook pages. Thank you for sharing and keep being so great and successful! A very interesting informative and informative text, thank you Cory for putting it together and I really like Natasha’s web page. What about making sure no one steals your art!! Are’t you afraid of that?? I’m terrified of this happening!! I think the question about art being “stolen” online is an on-going one that artists struggle with all the time. Maybe Cory could put together a post on the topic?? I think it depends on the artist and their artwork. For me, I put my images out there as much as I can – Facebook, my own blog, Pinterest and other blogs if I am invited. I figure the more exposure the better. I have tried to think through the “stealing” issue for my art. If someone takes a pic of my art and makes it a screensaver or even puts it in the banner of their FB page – is that bad? Not to me, I am flattered. What if they don’t acknowledge that it is my work? Still no biggie – if I came across it I would thank them for sharing my work! What if I found that someone was selling notecards of my work on Etsy? Would I tell them to cease and desist? Nope – I would contact them, thank them for their interest and try to get a licensing deal. Is it wrong that they did it – yes. Is there more than one way to handle it – yes. What if I don’t discover it? Then I don’t, but that doesn’t deter me from getting my art out there. After all, that’s what I want as an artist – for others to see and enjoy my work. Other artists may feel very differently about this and that’s OK too. The big thing to remember – if you put your art online it will assuredly get spread around no matter how hard you try to stop it and it will likely get used inappropriately a some point. If you know this going in you can deal with it when it happens. Hi Cory and Natasha: I read the interview with great interest and seems like a wonderful way to do it. The thing that concerns me is the current discussions as to who owns the rights to the image once you up load it to social media. It seems as though f.b. is the worst of them all. I certain don’t want any one stealing it, let alone give them the right to use as they wish…. I would appreciate your insight sight on this…. Cory…how old is your course “How to sell art on FaceBook”? Great question Patsy. We just revamped the course a month ago, so it includes almost all of the latest updates to Facebook, as well as case studies from artists who are doing well right now. Note: My site is still under construction, thanks for checking back in 6 months. In the meantime, I’m glad to see you on-line, I’ve been looking for digital art gallery tips. Excellent feedback about facebook. Is this a newsletter or blog where I can post my tips as well? I am not an artist, so I am not trying to sell my work. However, I have a lot of artwork that I would like to sell. Most of them are Tarkay lithographies, but two of them are originals and some are hand brushed. I also have a Mouly and a Daly. I am not proficient in using computers, so I need someone to help me sell those and I would pay a commision Please let me know if you can help me or if you know of someone that can help me with this. Thanks,. Hi Janice – I think what Natasha means is that for a time she stopped selling on eBay because she was so excited about Facebook. Any good marketer remembers to include things that have worked in the past, and to supplement that with new things that work well. im looking into ooening a page to sell my work, but im confused in how you would collect payment and handel shiping. please help? Thanks for the great tips. I was wondering what your numbers were like in 2013? You talk about 2011 but I know that with the rapid changes in our world, I wonder if your numbers are still consistent in 2013? Thanks. Thanks Cory and Natasha! This was a very informative post. I have been using FB for several years now, and I get business off of it, but would like to get more. Your post has motivated me to come up with and implement a plan to maximize FB potential. Thanks again. Terri, you’re right that most of Natasha’s work sells for under $1000. I’ve seen artists sell for more, but most artists selling on social media are doing it for under $1000. I am capable to draw and paint. But I don’t know how to market it. I need your advice. Hello! I love your column. I’ve tried Craig’s List.com, ifreelance, iguru, facebook and twitter but had limited results. Since I get a lot of customers when working with the general public outside of the digital social media relm, I’m writing for a ‘how to’ guide into facebook (in case I set this up wrong). Thank you! I got Artwork aroud the earth. I love to draw to make people happy. I got Art on line and I love my Artwork . Hi Mike! Sorry I’m just seeing all these comments recently!!! In terms of digital images and dealing with copyright issues, I use photoshop to add watermarks or my signature into the image whether it’s a high resolution print file or a low resolution web image of my work. I have now started to make sure everything is watermarked. BUT I MUST IMPRESS – worry more about your own efforts as an artist and not on copyright infringement. It’s really NOT as huge a deal as artists might believe, and it wastes precious time you need to be working on your craft and business. 🙂 Just watermark, always add info, make sure your info is in the image metadata. Be sure to educate yourself on Photoshop as this is a MUST HAVE for art business if you manage your own content and images yourself!!!!! HI Karin! – so you get most of your sales directly through other channels? Do you use social media now? There’s a lot more to it these days as advertising is becoming a necessary component of facebook marketing. Oh by the way my work sells in the region of £300 – £600 do you think that is feasible on Facebook or is Facebook not my market? depends on who your market is and what your work is. I think that price-range is completely feasible. I’ve seen many artists’s works sell for that and more. Think of facebook as a referal tool. You’ll do most of the negotiation on sales of the work posted on there through your personal or business email with them, or over the phone. Make sure all your contact info is accessible on your FB page! Hey Natasha thank you so much for the great ideas. I’m currently researching for ways to promote my father’s artwork. I totally agree that facebook will be an awesome way to give some exposure to my father’s artwork. it’s a challenge when you’re starting out but just remember – tell a story. Your father’s story. Find ways to wrap it around visual posts like photos or videos of his work to help increase engagement and grow the page. Honestly, if you want to approach it seriously as a place for him to build a brand or business and make some money from his work, you will need to consider paying for advertising on Facebook – which I personally have found great success in now, especially with the algorithm changes. Check out Cory’s facebook course for more help on this! Mmmm, mmmm,, now that was some good eatin! As in I feel like I just ate a fine meal with all the richness of advice “cooked” by Natasha! Ahh, Facebook, you are a wily beast I will tame one day!! Mostly great tips, however, FACEBOOK has changed radically since this article was published and even though many tips are still relevant – people just don’t see posts anymore – as you are well aware – due to their policy changes unless you pay. I think there are many other awesome social networks that engage people in real time………twitter and tumblr for instance. Thanks for the comment Amy. You’re right that FB engagement is way down. We are running an updated version of our FB Marketing for Artists course on July 31. If you have an advertising budget and are willing to learn to tackle FB’s ad platform, you can see a significant return on investment. That said, you’re also right that there are other social networks where people can engage without paying – but that free engagement there is facing the same future constraints that FB faces now. I am very reluctant to invest a lot of time in my Facebook page. Since they changed the algorithm some time ago, I get a fraction of the previous views. If only 2 people are going to even see my post, I won’t invest 2 hrs to design a contest. I would love to hear about successful examples under the new algorithm. This is exactly what I just posted here about. I only saw this post once I was done. But yes, I have almost 5,000 fans, before those changes, and my sales were cut by 75% instantly. With each new change, my sales drop even more. I was selling everything I posted before this. And that same day. I finally tried the ‘boost post’ option, out of desperation, and found that while I got a normal (for before the algorithm changes) 1,800 views on the post, no one commented and there were only like 60 ‘likes’. I think these numbers were rigged. I honestly do. They took my money and did not release views to the fans to my art page. I mean, obviously. It’s a lot of more complex than before, and advertising is a skillset we need to learn if we want to approach our career as a business. Honestly, it’s absolutely necessary. Since I taught myself how to advertise more effectively and target my market more specifically, my conversion rates on promoted posts have changed for the better significantly. It’s a matter of learning how it all works and then doing some small testing. Never spend more than a $1-20 in the beginning when learning. Cory has a great course on this you should check out. It should help you understand this better. I work for a company called ShopTab, and we have several artists using our Facebook shop app to sell their work. Paintings, crafts, woodwork… all kinds of things. If you open a PayPal account you can sell through us on Facebook without creating a separate e-commerce site! $50K is a lot of money! But a living, it’s not. An artist has to decide whether they want their art to be a hobby, a job, or a combo. And an artist must ask, do I want to sell 5000 things for 10 dollars each — or 50 things for a 1000 each (etc.)? Do I want my career to be working facebook and producing art that decreases in value over time, always seeking profits in cheaper printing and framing, shorter interactions, etc.? A thought-provoking article, to be sure. Exactly, I agree. Nowadays, $50,000. isn’t much, but it’s definitely nothing to sniff at. That’s significant, and a lot of creatives couldn’t tell you how to make $100. This was not the focal place of sales for me, as I also had multiple revenue streams: commission work, book projects, illustration work for books, auction sales, licensing royalties, and Etsy sales in prints and originals. Without distribution, we’d never be able to support ourselves —-unless we’re a flipping rock star! Glad it was interesting! to promote my art only and had scads of artists posting on my wall. You’re more generous than I.
I started selling my art on facebook back in 2008. I did really well and would sell everything I posted, that day. Up until FB made those algorithim changes a couple years ago. I have almost 5 thousand ‘likes’ to my page, and got them all on my own. No paid likes. But after the changes, my sales plummeted by 75%, instantly. No one saw my posts. I have struggled tremendously since. And now with another change 1.5 weeks ago, the people who see each post has been at least cut in half again. Probably more than half. So, out of desperation, and 26$ to my name, I paid for them to boost a post with my available art. I fully expected people that hadn’t seen my posts in months, would be commenting and engaging. No one commented, because, even though the ‘likes’ to the post were going up, I do believe most of them were not people from my page who actually liked my page of their own accord, to see my posts and keep up to date on my art. I got almost 2,000 likes to that boosted post, and no comments (except by a friend who knew what was going on, trying to help). If I’m paying them to boost my post, why aren’t the people who have liked my page, seeing it still? It seems pointless to pay them to put fake likes on my boosted post. It literally feels like blacklisting. And I’ve run out of angles to try. It just seems so absurd that with almost 5,000 fans, each posts gets a couple dozen views. Even people who have checked ‘get notifications’ are being blocked. What now??? I am sorry to hear that and so are all the people that have said they like you. FB have ramped you up and then cut you down for their own profit. I didn’t realise that is the bigger picture. In other words, you need to be a good writer and story teller to sell on facebook. as in everything online, storytelling is key. And often ignored entirely by brands. am good in art but currently stuck in agricultural school and i want to do something with my art because that’s what i enjoy most. please don’t hesitate to help me in any way. When was this article published? I think it is of great value to add a ‘published’ date to content like this. The digital marketing realm changes so quickly that a date would help understand how relevant elements of this content still are. Whilst I agree with the overriding ‘create a conversation’ theme this post promotes, I think the most important thing to bear in mind is that you can’t base your whole business model around selling work through one portal – in this case Facebook. The risk is too great. When Facebook changed their algorithms and your posts disappear from view – unless you pay for them to appear near the top – then what do you do? This is exactly what has happened to me and a great many other people who have read and commented on this post. Trying to consistently sell through Facebook is now too hard without spending a great deal of money on advertising. Is this post still relevant? Perhaps it needs updating to include information on how to work with the new Facebook algorithms? For example, can you get yourself un-blacklisted if people flag your posts as ‘too sales orientated’? Thanks for the rest of the content on this site. It’s normally very compelling and valuable. While this post is a few years old, and Facebook’s algorithms have changed, the principles outlined are still relevant. The idea of creating a conversation, engaging with your collectors, and using solid marketing techniques all still apply. Well i think Facebook of late is the last thing one goes for art promotion because of its declining organic reach. Good to have a page and keep it updated though. But my question is how many of art collectors really will go to Facebook to search and buy art?? I am a artist, from Charleston SC. Who desires to be decovered I also desire to sell some of my artwork to well known art dealers. Could you please date your article so that we know how old they are? Facebook changes frequently, and so many things in articles about “how to sell on Facebook” just don’t apply at all, after a certain period of time. Shelly, this article is consistently updated, as it says at the top. Unfortunately on Facebook we have only 400 fans and very hard make new much better with Instagram – each publication has significantly more responses and new followers. I bought your book, How To Sell Your Art Online. I have not read it yet and wanted to know if the Facebook course information is in the book before I sign up for it? No, the course goes into far more detail. I know this is an old post, but I wanted to thank you so much for such an informative post. It really gave some good ideas to take my career as an artist to the next level. Now we do not need any traditional platform for selling our art. Modern platforms and specially social media is the great way to promote your art. This information was very helpful Natasha. This blog is helping me understand even more that art doesn’t have to be a hobby like it was viewed in the past. Excellent post, thanks for sharing !! hey check out my website and let me know your feedback, thanks ! Very interesting – I never thought of using Facebook to sell art. I’ve picked up some good how-to videos and ebooks on making money online from the Money Directory at http://money.madbeetech.com. There you can download material on all sorts of make money topics from using Facebook and social media to blogging to affiliate marketing. It’s a good resource for anyone that has very little to spend but wants to get into making money online. Hi!First of all you must spend a lot of time to publish art on many site, so less time to paint, draw, or other….., or you must have a person to do that while you doing your work. I can t understand how you made so much money by selling on FB. Secound, you must have a little know how to use all this site. My opinion : this is not for everybody, you just got lucky.